Another fun bike ride this weekend. Debbie and I went up to Napa (Ben is still in England) and did a quick 15 mile 'out and back' to visit a couple of wineries. We started off at Dean & DeLuca, where we loaded up the back-pack with a nice picnic (Salad and Sandwich). 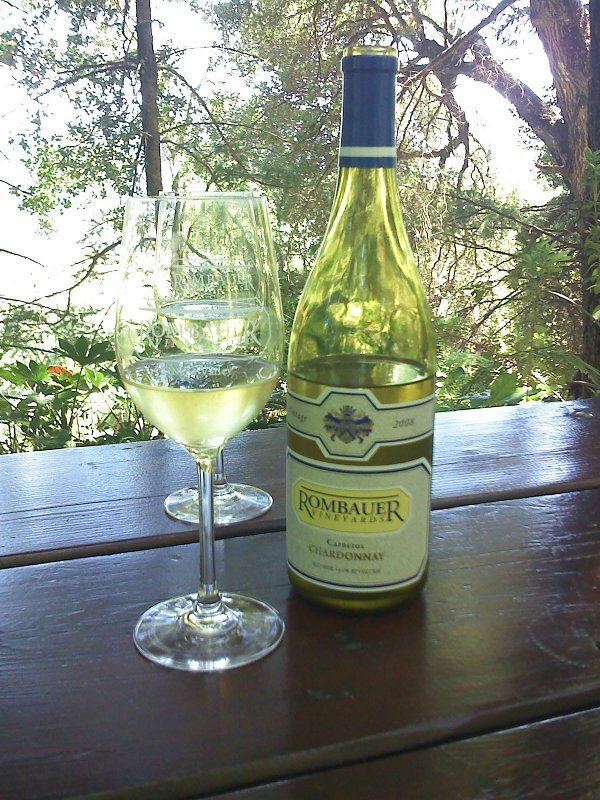 We cut across from D&D (HWY29) to Silverado Trail, where we went North to Rombauer Vineyards. 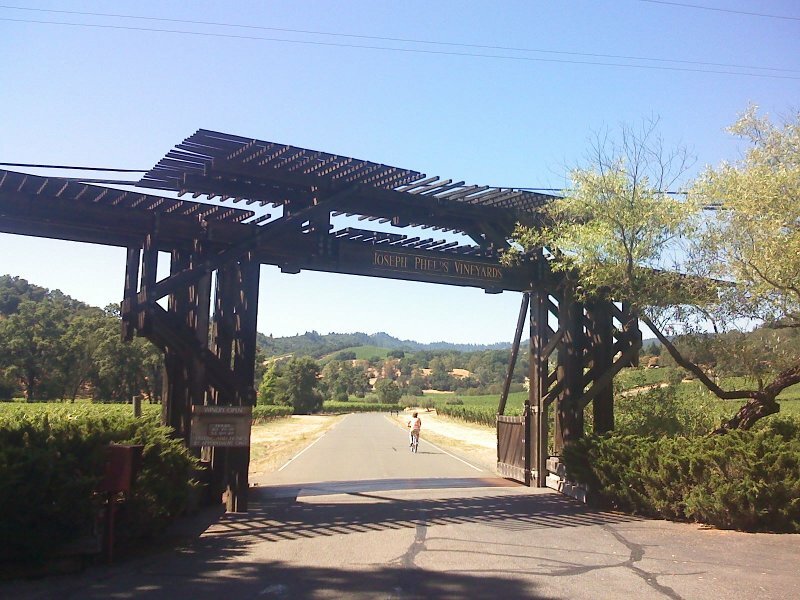 Rombauer is on Silverado trail, but it's a bit of a climb from the road to the winery, so some pushing of bikes was required! I bought a bottle of their 2008 Chardonnay, which was *very* nice. We sat in their garden, under some nice trees, and drank the wine while enjoying the view and our picnic. we hung out their for about 90 minutes, before returning along Silverado trail to a second winery. Joseph Phelps Vineyards, also a little off the road and up a hill and a wonderful view. Unfortunately their tasting room closes as 4pm (most close at 5). So I wasn't able to do a full tasting, though a sampled their signature wine. It retails at $200 and my small tasting was $15. Debbie had the Pinot Noir, which she found a little heavy. they did give us a comp for a free tasting next time we're in town (a $50 value!). as I say, great view from the terrace, so we'll definitely go back. Only Debbie's second outing on her new bike, she learned a couple of things about cycling. When out for a fun bike ride, you don't need to do 20mph. slow down and enjoy the views! When travelling down hill, at speed, use the rear brake to avoid flying over the handle bars. Applying only the front brake is a great practical demonstration of Newtonian Mechanics at play. No serious damage done! Saw a couple of nice B&B's on Zinfandel Lane as we cycled through. 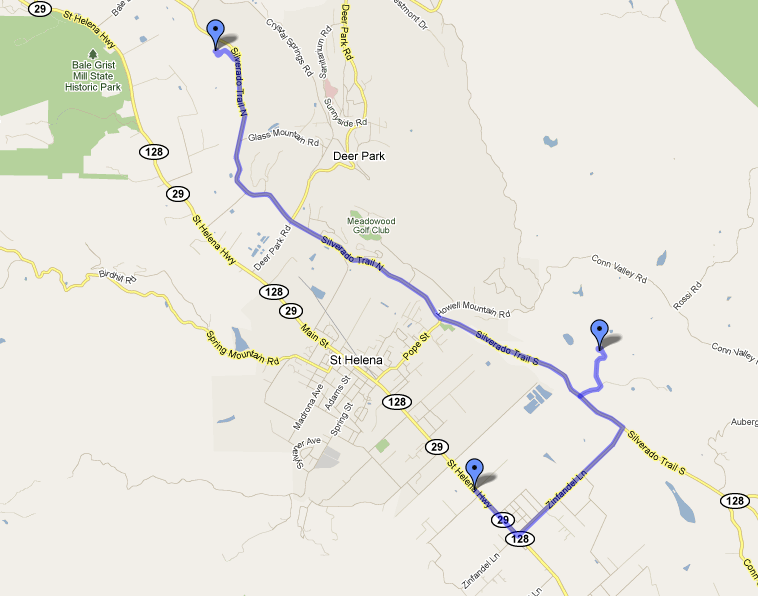 Must make a note of those for next time we want a weekend away in the Napa Valley. Stopped back at D&D at the end of the ride. Browsed round their nice (but expensive) kitchen accessories, wine and food. Had a parfait, then headed home.